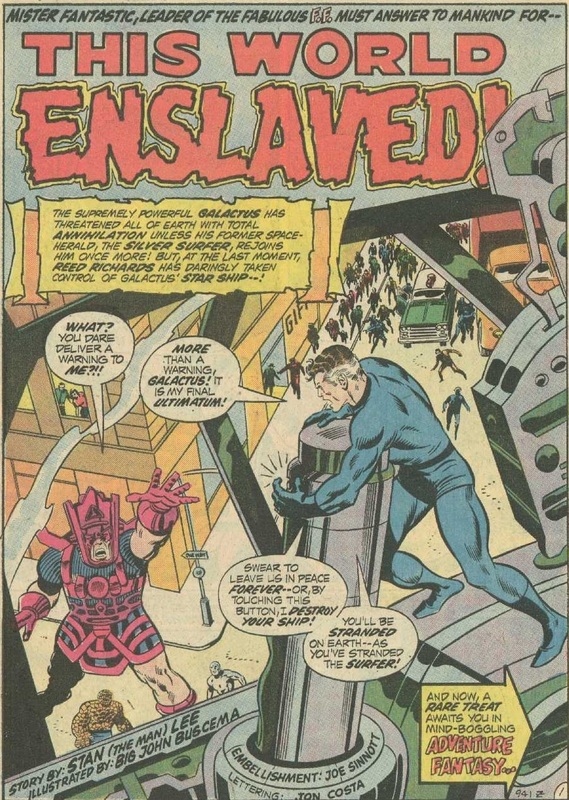 Marvel Treasury Edition 21, 1979 “Behold…Galactus!” | Magazines and Monsters! The Treasury Edition is one of the best inventions in comic books. I mean, what could be better, than an oversized comic book? The answer is nothing. When you buy these gigantic books and open them up you get blinded by their awesomeness! Although mostly reprints, the material chosen is top-notch for sure. 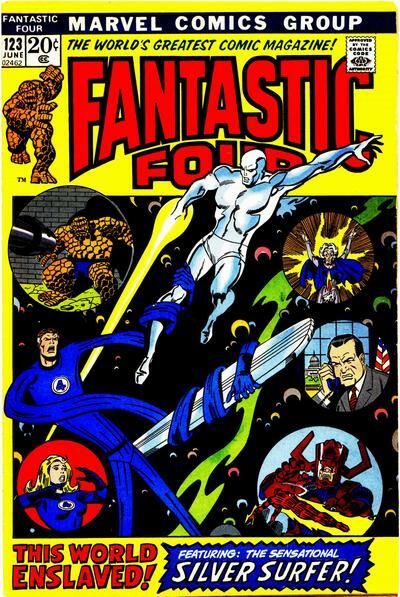 Of course, the Fantastic Four are most famous because of their days during the Jack Kirby/Stan Lee era, as it should be. 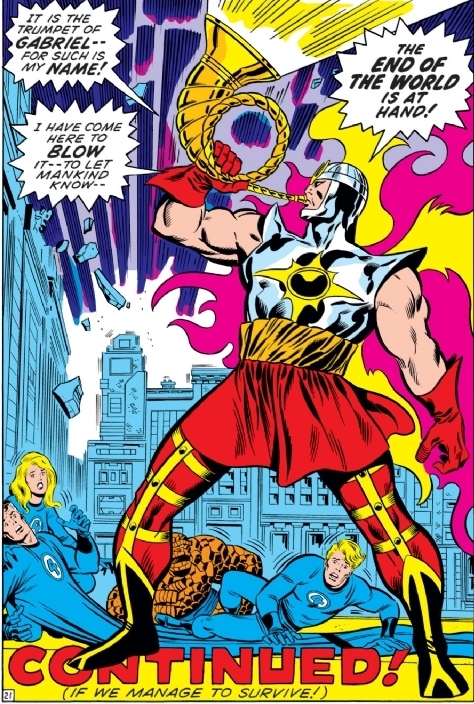 But honestly, if you venture past that era, you’ll find that the Bronze Age is quite good. 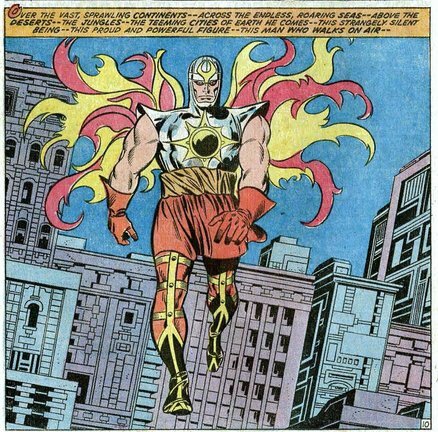 Under the guidance of some of that era’s best creators, the team had some run-ins with a myriad of bizarre villains, but also some familiar ones like the Mole Man, the Impossible Man, and most importantly, Galactus! 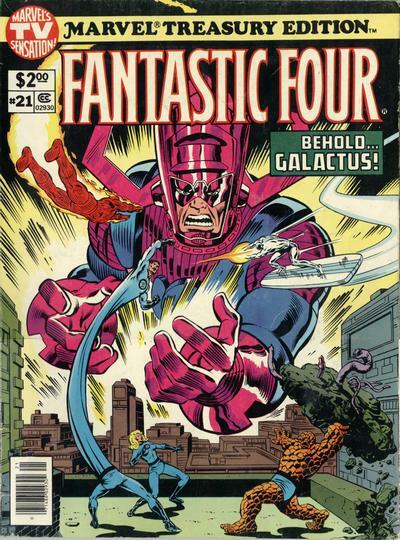 In this oversized tome, the team is beset by gun-toting maniacs, a strange being from the stars with god-like powers, and then the final threat is revealed, and the team stands in awe of Galactus, Devourer of Worlds! 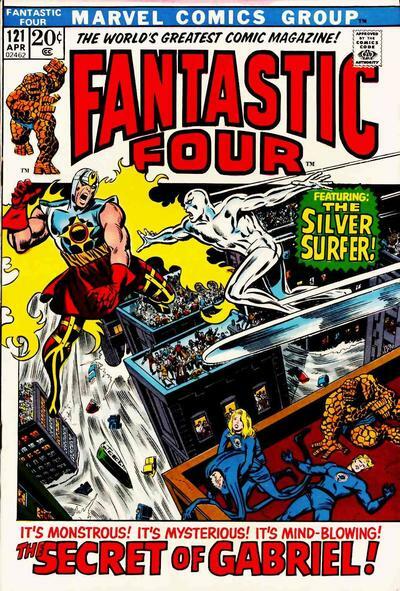 Special appearance by the Silver Surfer! 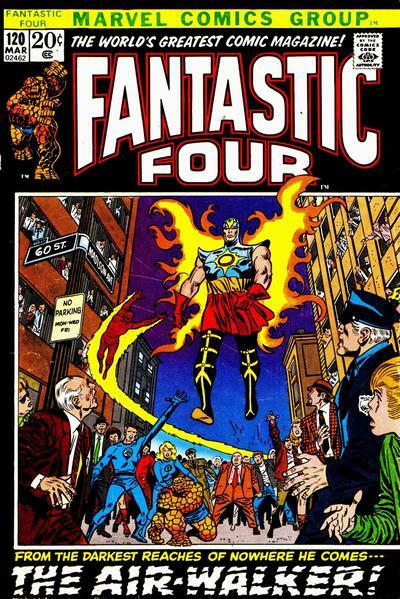 Let it not be said that any era of the FF is greater than the original creators run on the book, but honestly, too much love is given to the John Byrne era and not because it’s bad, but because it causes people to overlook this incredibly underrated work by Stan Lee (writer), ‘Big’ John Buscema (pencils), ‘Joltin’ Joe Sinnott (inks), Carl Gafford (colors), and Artie Simek, John Costanza, and Sam Rosen (letters). The cover is by Bob Budiansky and Bob McLeod, and they did a great job showing just how imposing the big G is (front and back covers!). ***note- apologies for the quality of the images. 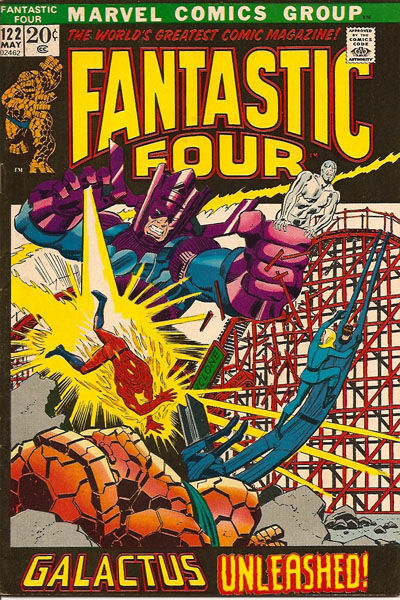 I had to use what I could find online because my scanner isn’t big enough to accommodate a Treasury comic book.